You may not believe all you get in this lightweight, feature packed sewing machine by Janome, especially for such an excellent price. 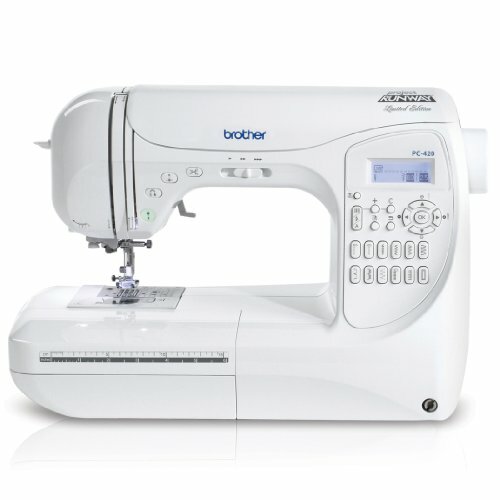 The Janome DC1050 is a computerized sewing machine that has features such as an LED screen, 50 stitch choices, auto needle threader and much more. 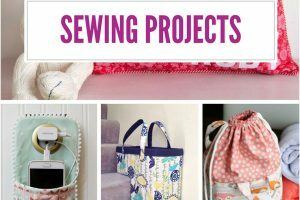 It is an excellent machine choice for a beginner just getting started with sewing. The consistent, strong motor enables users to sew through a variety of fabric types from sheers to heavy denim. 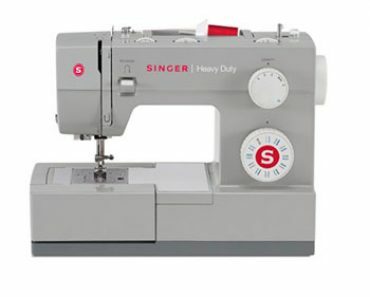 Thanks to this heavy duty motor, you don’t need to worry about sewing faster to try and force the needle through the fabric. 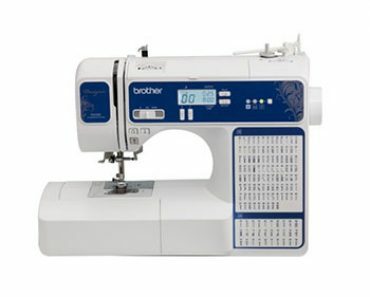 Sew at your own speed and know that this machine will gives you even stitching to be proud of. 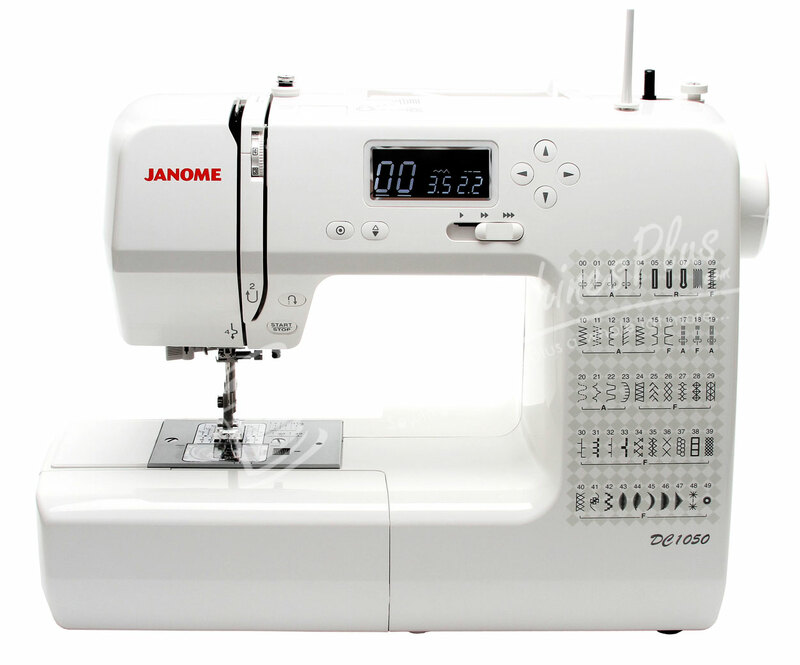 The Janome DC1050 is user friendly, easy to set up and can handle all of your sewing needs. It is a great choice to consider when you are looking for a good starter machine that won’t make you feel like you’re doing without anything. 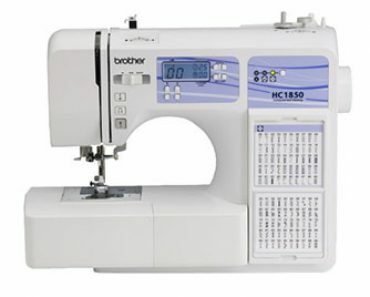 Users have a choice of 50 built-in stitches that come with the Janome DC1050. These stitches include a mix of utility stitches, construction stitches, stretch stitches and more. 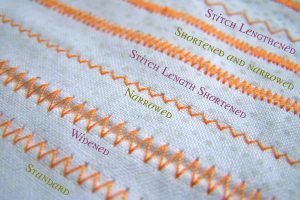 You also get 3 different styles of 1 step buttonhole stitches to choose from as well. You can even begin to dabble in monogramming with the satin and appliqué stitches and really dress up your projects with the beautiful heirloom stitches. All of the stitch choices are printed on the front of the machine for easy choosing and identification. You can choose your width and length with a maximum of 7mm width and 5mm length. 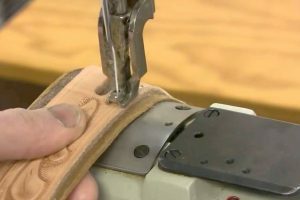 Additionally, when you choose your stitch, it will give you the presser foot that you should use with that stitch. This is a great feature that makes learning easy for new sewers since they don’t have to guess which presser foot to use. Selecting the right stitch is very easy; just push the up or down arrow on the control panel and select the stitch you want. Length and width will be automatically set for you according to the stitch you choose. If you want to manually switch the length and width settings just underline the length or width and use the arrow keys to set it to the desired length and width. User friendly is the name of the game when it comes to the Janome DC1050. The LCD screen is backlit and easy to read navigation is fast and easy and set up is super simple as well. 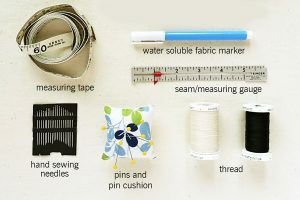 The instruction manual is very helpful in learning the ins and outs of this great sewing machine and beginners will get a lot of knowledge on how to use their machine by reading the manual. This machine is quiet and smooth and a real pleasure to use. 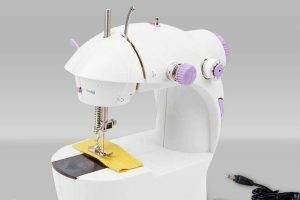 It’s also lightweight, so if you take sewing classes, it will be easy to bring the machine back and forth to class with you. 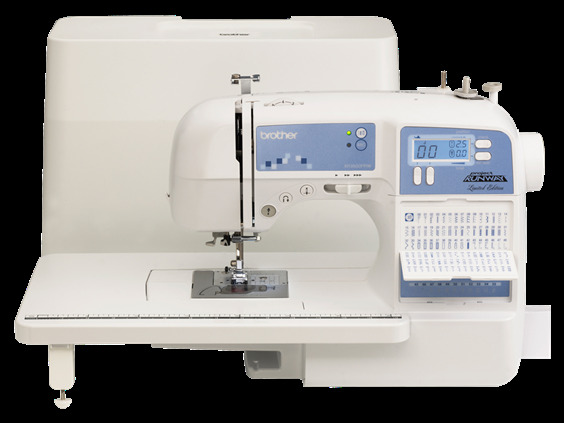 Whatever project you want to do, the Janome DC1050 makes it easy. 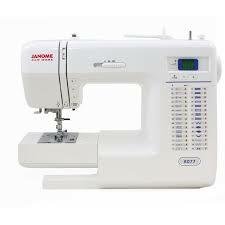 The Janome DC1050 is a great machine that is a customer favorite. Checking out the customer comments and feedback is a good way to see how the sewing machine is performing once users get it home. Many people read the comments and feedback to help them make a decision on whether to purchase the particular model or not. Below are comments that customers have made regarding the Janome DC1050. Warranties are important for the consumer’s protection. 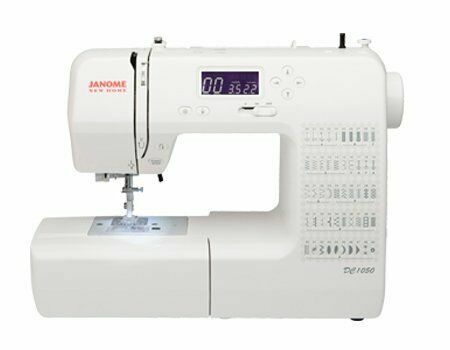 The Janome DC1050 comes with a 1 year warranty on labor, 2 year warranty on electrical components, and 20 year warranty on the machine head. To keep your warranty intact, be sure to follow the stipulations that it states. You can’t go wrong with this sturdy, easy to use sewing machine from Janome. Whether you are a first time user or someone with more experience, you will love the features, accessories, user-friendly interface and performance of the Janome DC1050.